A study performed last year observed that identical twins, who share 100% of the same genetic material and had the same upbringing, expressed a very similar attitude towards civic behavior and care-giving, whilst fraternal twins, who share 50% of their genes and, again, had the same upbringing, did not necessarily share the same pro-social attitude as the identical twins. This caused scientists to claim that there might be some genes that causes people, coupled with a healthy pro-social environment, to be nice. University of Buffalo researchers may have found these genes. 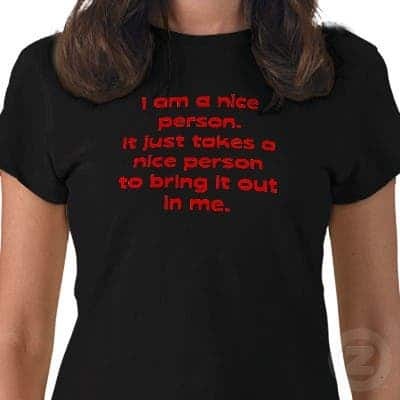 According to their study, if you possess certain genes which lead to a certain variation of the oxytocin (the love hormone) and vasopressin hormone receptors, then chances are that you’re inherently a nice person. These two hormones are commonly associated with feelings of compassion and empathy, which generally make a person more generous and nicer after they bind to neurons through special molecules called receptors. The team of scientists, lead by psychologist Michel Poulin, surveyed 711 persons, who were asked various questions destined to assess their degree of niceness, like whether they felt obliged to report crimes, how they feel about paying taxes, whether they engandeged in charitable actions (donating blood, money, social/community servicing etc. ), and most importantly what was their view of the world. The subjects had their DNA sampled such that data could be correlated with genetics. The researchers found that people who view the world as less or not particularly threatning were more likely to be more generous and nice. People who viewed the world as a threatening place, and the people in it as inherently bad, but had the versions of the receptor genes associated with niceness, were also found to be charitable and well intended with those around them. “The study found that these genes combined with people’s perceptions of the world as a more or less threatening place to predict generosity,” Poulin says. “Specifically, study participants who found the world threatening were less likely to help others — unless they had versions of the receptor genes that are generally associated with niceness,” he says. “The fact that the genes predicted behavior only in combination with people’s experiences and feelings about the world isn’t surprising,” Poulin says, “because most connections between DNA and social behavior are complex. “So if one of your neighbors seems really generous, caring, civic-minded kind of person, while another seems more selfish, tight-fisted and not as interested in pitching in, their DNA may help explain why one of them is nicer than the other,” he says. What’s the genetic difference? Well, for oxytoxin, at least, the difference between the inherently nice hormone receptor and the other lies in a single DNA base pair located on the third chromosome – if you have two guanine base pairs (GG) then you get the nice receptor, while if you inherit an adenine base pair (AA or AG) then you get the less nice oxytocin receptor. Now, the researchers aren’t claiming that these genetic variations are indeed responsible for niceness, however their findings, published in the journal Psychological Science, certainly add weight to the claim that genetics make for an important factor.